Ha. Fabulous. 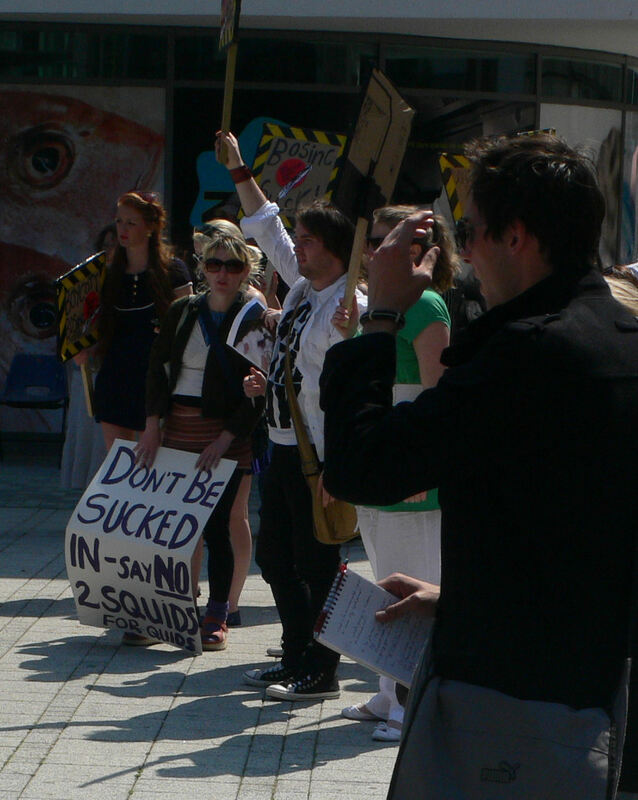 I wandered out of the swimming pool in Brighton to encounter a demonstration against Big Oriental Squid Inc, who were in the process of constructing fiendish, but rather vague things, in the square outside the library. Given the cameras, and so on, I was actually suckered (arf) for a time. That was until I asked one of the protesters about what it was all about. Got a garbled account of using cats and dogs to help breed giant squids in a cavern under Brighton. Hmm. I noticed a website bigorientalsquidinc.com bandied about which is well worth visiting. It has a link to WWF. I don’t know who is behind this — but well done! It’s a great piece of work. Engaging and funny too. Here’s a couple of snaps I made while passing. 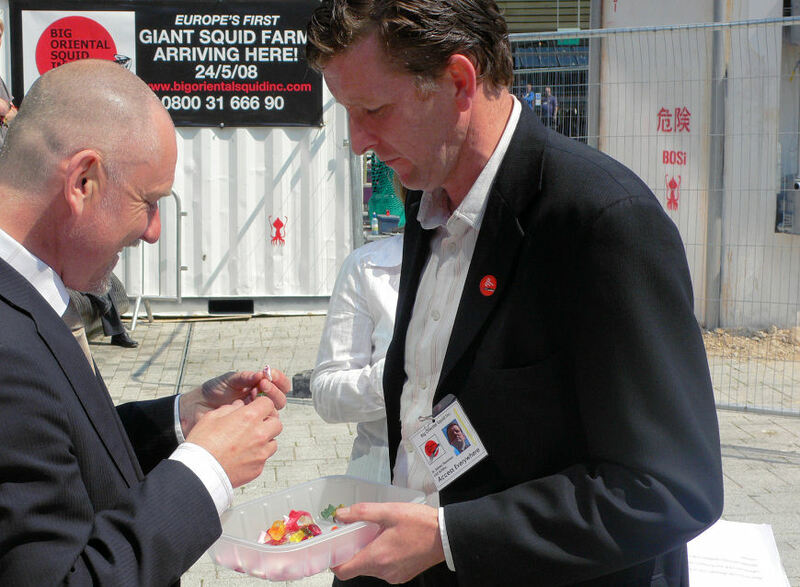 Of BOS inc handing out free samples and “protesters”. This entry was posted in Uncategorized and tagged Big Oriental Squid Inc, WWF. Bookmark the permalink.